We love having artists local to the event’s home city of Birmingham involved; Paul Wilkins has been with us since the event began and we’re delighted to have him back again! Paul runs DDFX Studio and is an independent artist and huge monster fan. 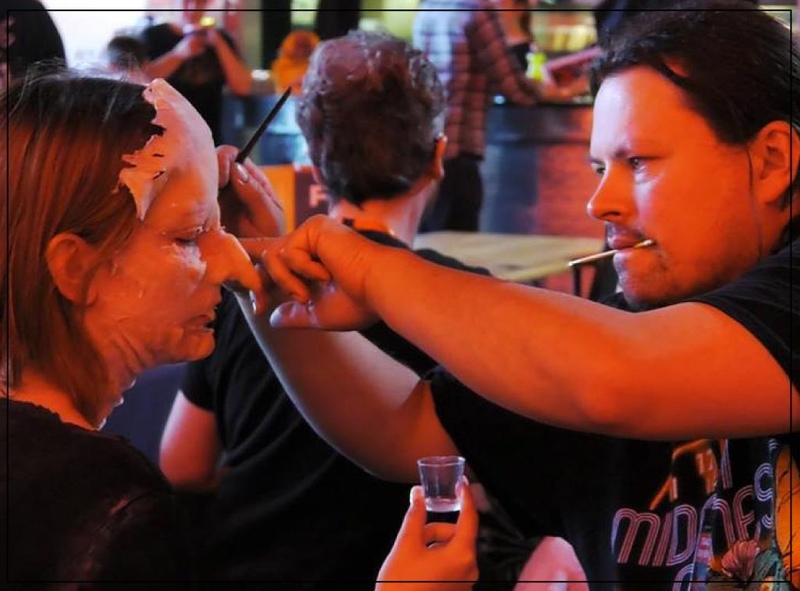 He works in education and has made pieces for film and theatre, including set and costume design as well as makeup effects. Recent projects have included being part of the creature team on Indie horror film ‘The Creature Below’ and doing live demos at this year’s Horrorcon. Zombie nurse pic courtesy of Birmingham Zombie Walk and Davefish Photography.